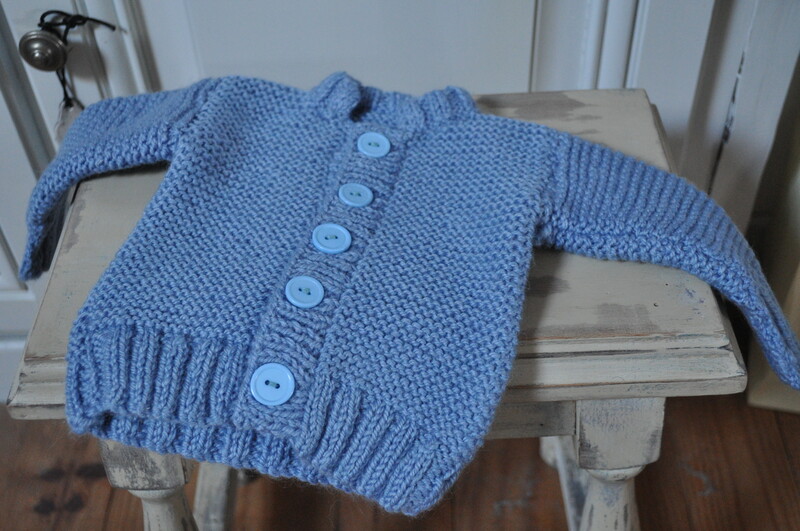 A parcel will be going off to Baby Benjamin tomorrow. 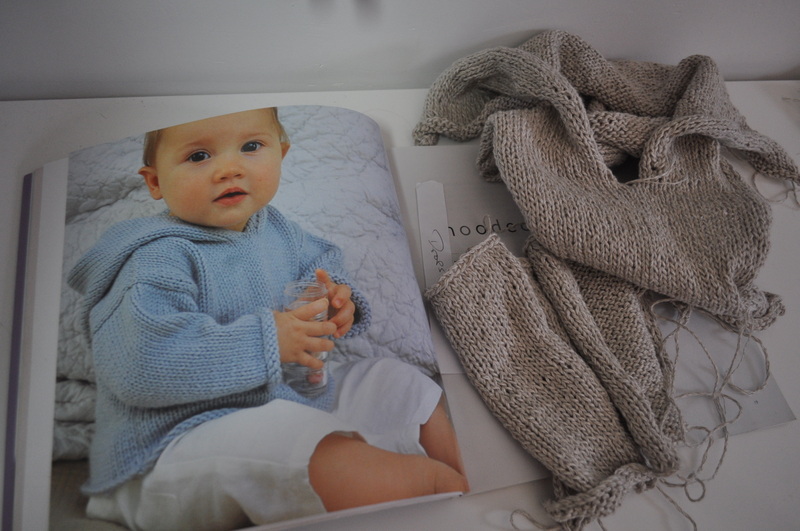 My concession to the current trend for grey in baby stuff. 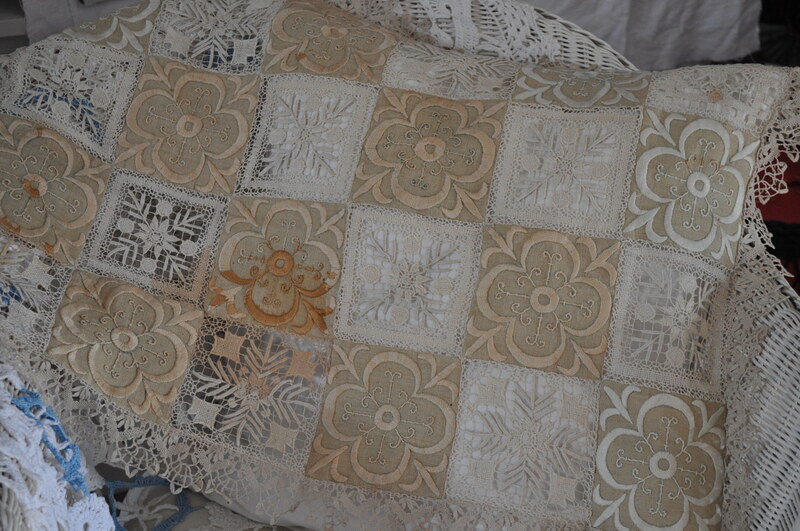 I found this forgotten little linen number just needing to be sewn up but it can wait for the next arrival in June. 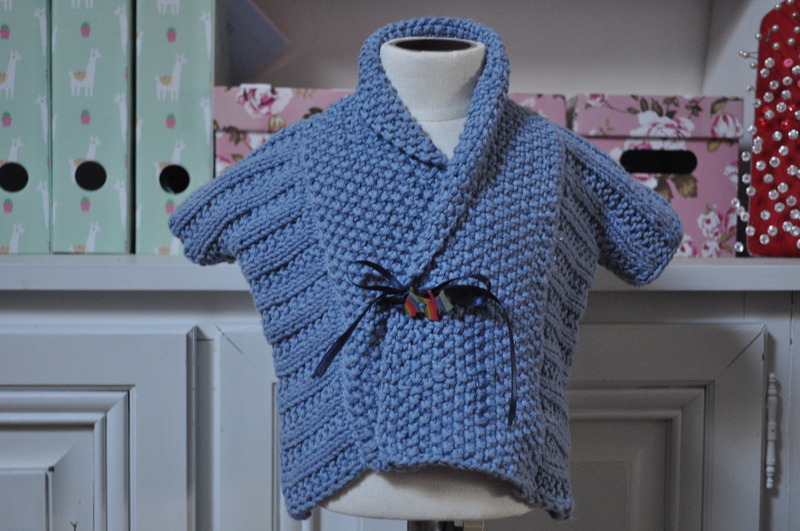 All for a very rarely seen niece’s baby – I don’t know what I’d be like if I ever become a grandmother. 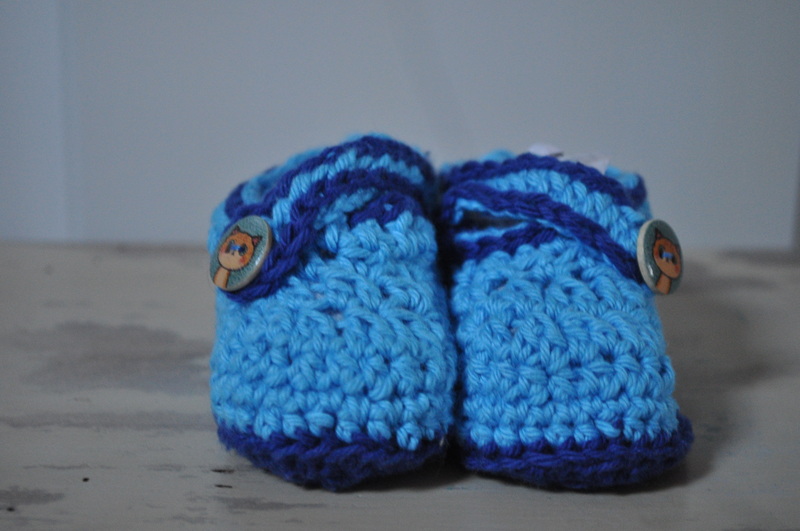 But what knitter/crocheter/sewing enthusiast doesn’t love an excuse to make baby stuff? An occasional (can’t manage more than that) series of posts where I say not much at all. Remember my stained piece of gorgeousness picked up in the junk/charity shop? I decided to trust the oxygenating stuff (known as Vanish here and in the U.K. at least) and soaked it overnight. Then I sprayed with a dilute white vinegar solution and laid it out in the sun. Then repeated both actions before hand washing in mild soap and rinsing thoroughly followed by another bout in the sun. 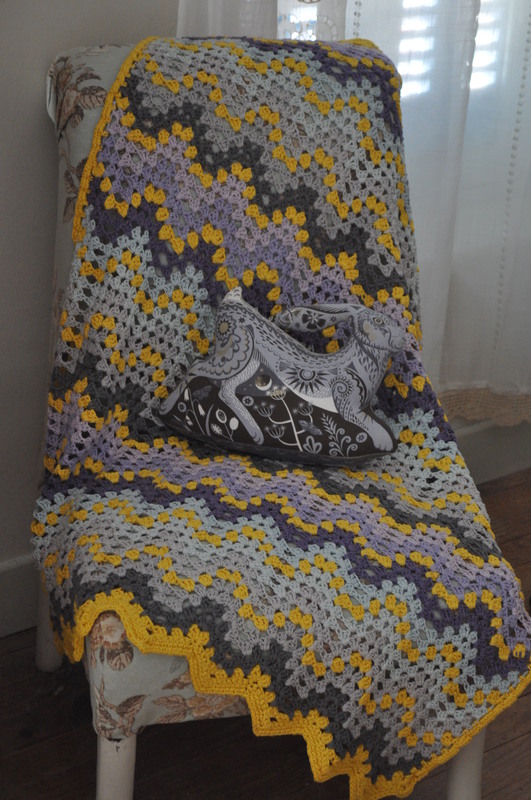 Here’s the final result of my project using leftover yarn. One or two people might be getting a blanket for Christmas. Thanks for that Merriam-Webster, sometimes it’s best to live in ignorance. 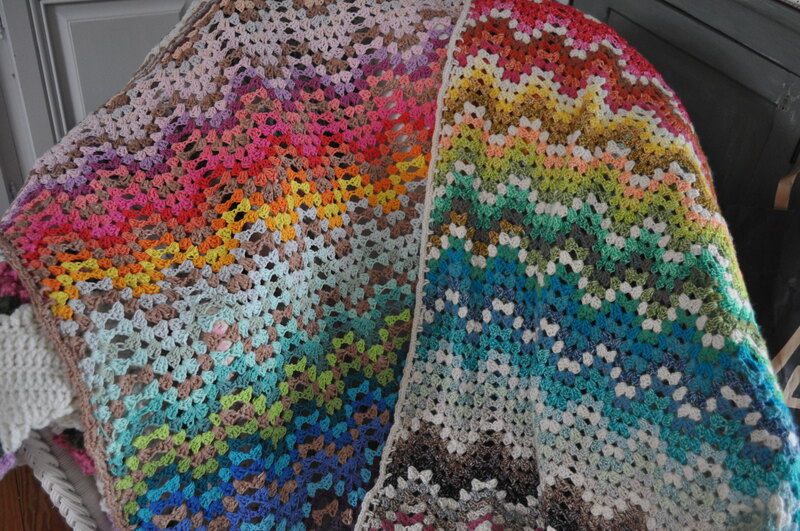 The one on the right is made with Scheepjes yarn from the original kit and, to be honest, is still my favourite due to the softer feel of the cotton/acrylic mix and the more carefully planned out colour scheme which the pattern provides. 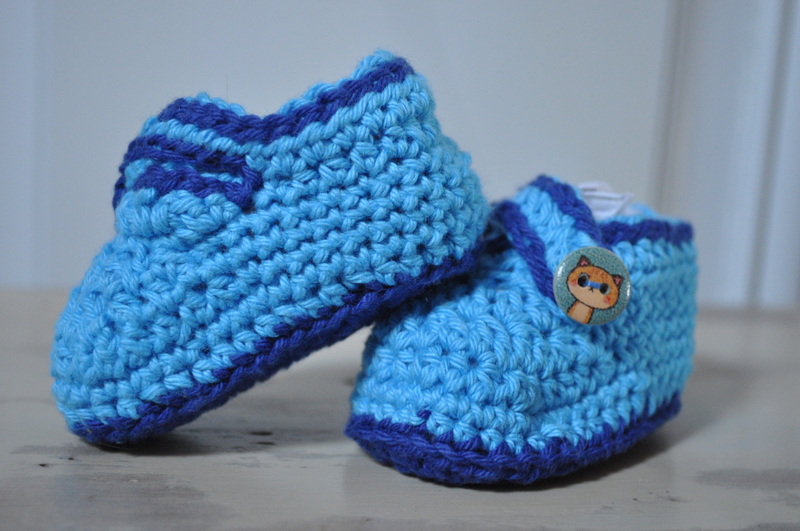 The one on the left is made with 100% cotton yarn and I made the colours up as I went along. Perfect for yet another version using the scraps and enabling me to participate in ScrapHappy day this month. 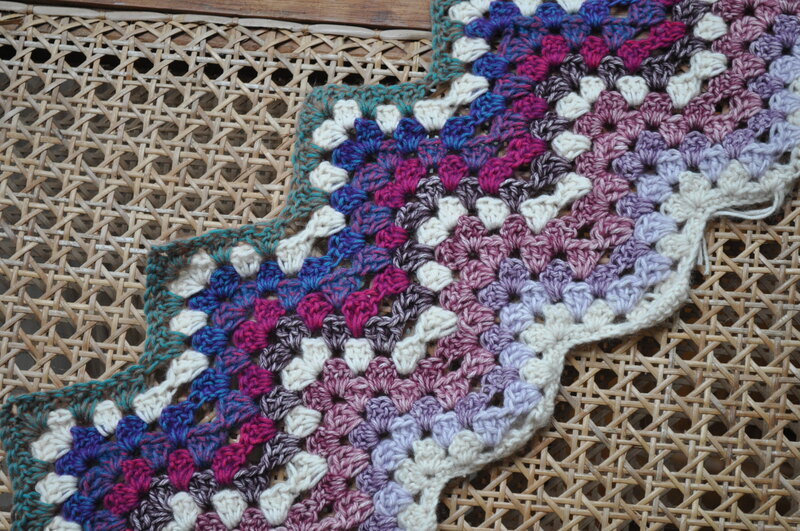 I am breaking the rules with this one due to the limitations of using scraps and am having to change colour part way through a lot of the rows. I’m just trying to keep some sort of blending going. This is it so far, unwoven in ends and all. The blue I’m using to create the unifying ripple every 7th row and the eventual edging is the only new yarn I bought for this version. The 7th row should have been the 5th row but I forgot and didn’t want to frog it so decided to keep it at every 7th – who will know? Or care? 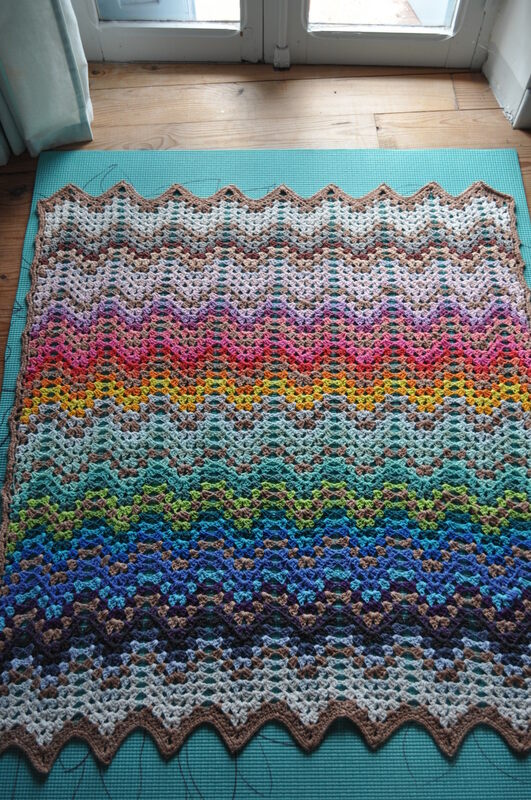 I think the reason I’m addicted is the pattern is easy, though not totally mindless, so perfect for getting something useful done when I’m Netflix bingeing in the evening. It also keeps me from having a glass of wine or falling asleep – the two usually go together. A double whammy from the scrap department this month. I made these two blocks for Kate’s newest quilt project for Ovarian Cancer Australia. Their colours are teal and cream and Kate likes to indulge her love of puns when naming the quilts. 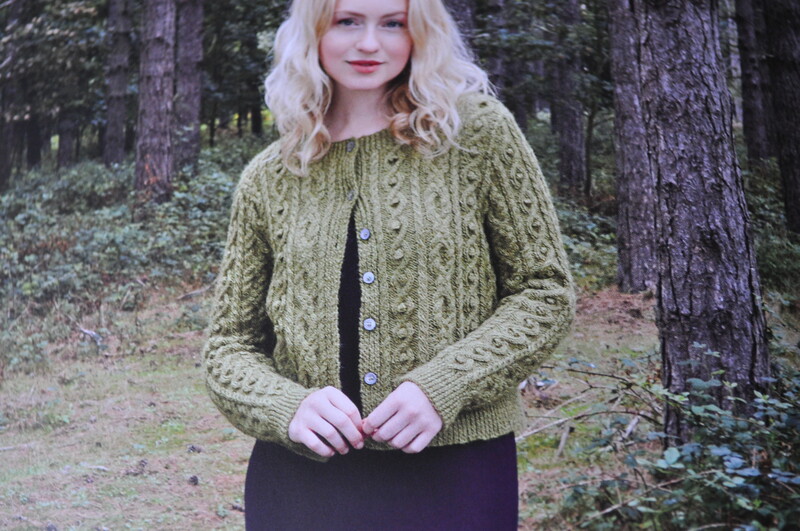 We’ve had ‘Tealed With A Kiss’, ‘Signed, Tealed, Delivered’ amongst others in the past and this one will be called ‘Go Teal It On The Mountains’. So, Kate and some of her readers of the patchwork persuasion are making blocks with a mountain theme. For some time now I’ve had a stash of of teal blues (and similar) kept specially for these projects. The blocks are assembled, quilted and finished by Kate and then auctioned to raise funds. You can read a bit more about it on Kate’s blog here. This first block of mine was just a case of joining strips really. My second block was foundation paper pieced, a method I have come to love. Hot yoga is a style of yoga performed in hot and humid conditions. I prefer doing the cobra and down dog in an ambient temperature so I thought I’d indulge in a bit of Hot Crochet instead – I might patent the name ; ). I did use my yoga mat to block a blanket though – does that count? 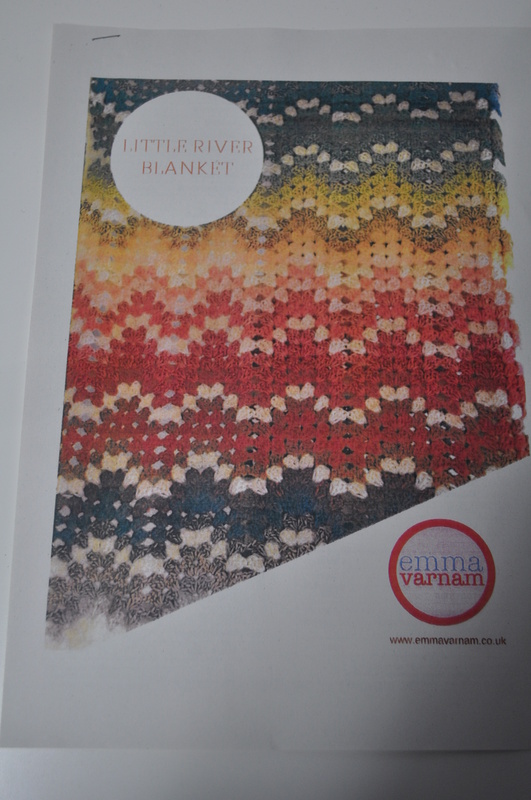 This is the second version I’ve made of Emma Varnam’s Little River Blanket which I originally made with a lovely collection of 10g balls of Scheepjes River and Stone Washed yarn, bought as a kit from Black Sheep Wools. 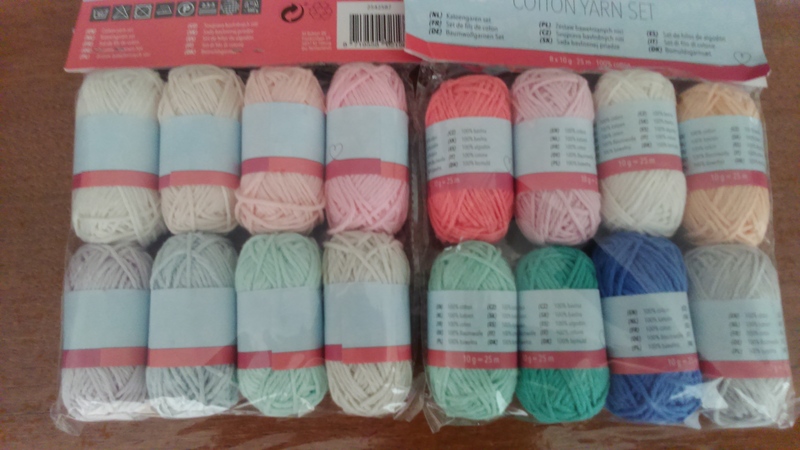 It was fast and enjoyable to make so when I saw these little packs of 8 x 10g cotton yarn for 1.75 euros each in our local discount store, I thought I’d make it again. I had some Rowan cotton yarn in my stash which I’ve had for years so used that for the ‘every 5th row’ colour and the border. Being 100% cotton it wasn’t too uncomfortable a Summer make and I laid out all the colours I sourced in order to make the same sort of graded effect achieved in the original. 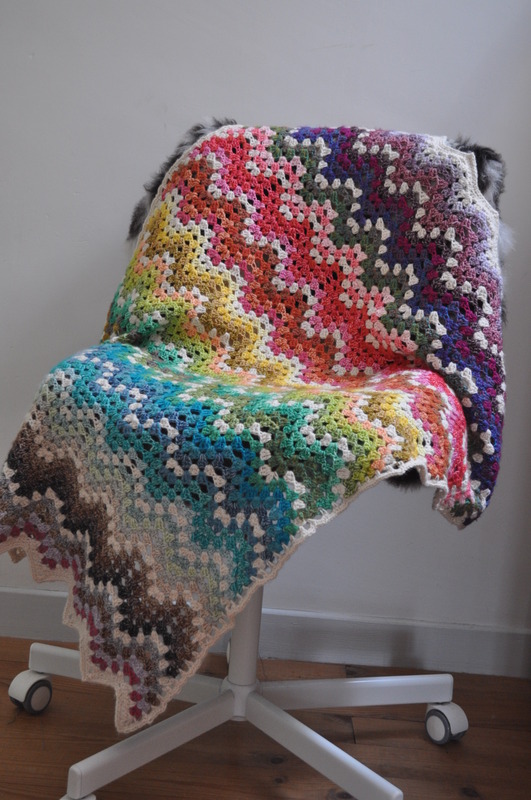 If I’m honest, the feel and texture of the Scheepjes blanket is softer and more luxurious because it has some acrylic mixed in with the cotton but the cost of the 100% cotton blanket was significantly less so……. 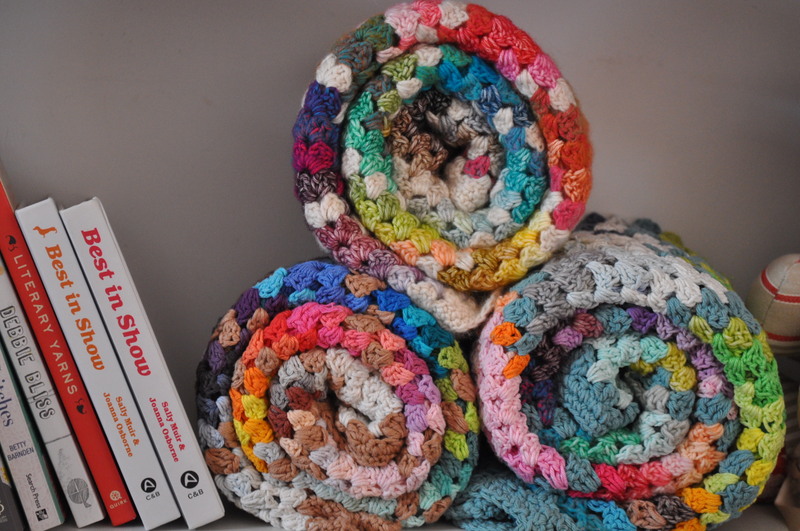 Here they are both together – the original Scheepjes one on the right. I think they are both rather nice. When I read other people’s blogs and see something I like, I tend to go off on a tangent and get enthused about a project even when I’m already knee deep in others. 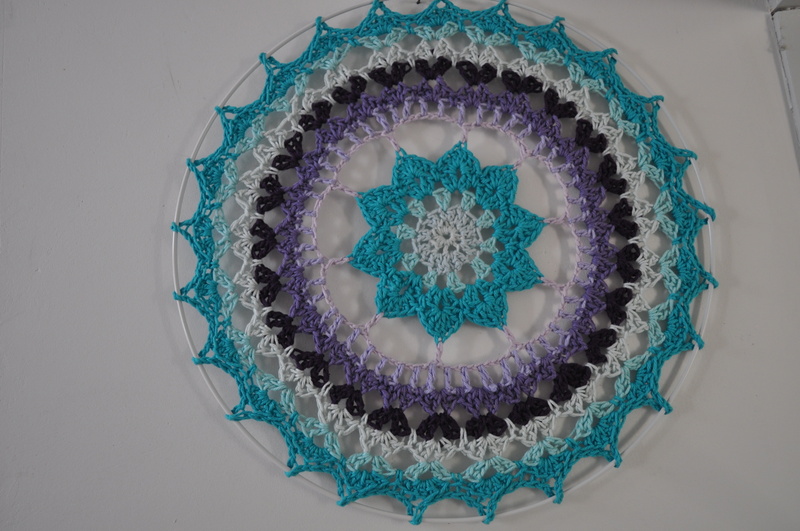 So, when I read Pauline’s (aka The Contented Crafter) about large crocheted mandalas as wall art, some white metal hoops were only a few clicks away. 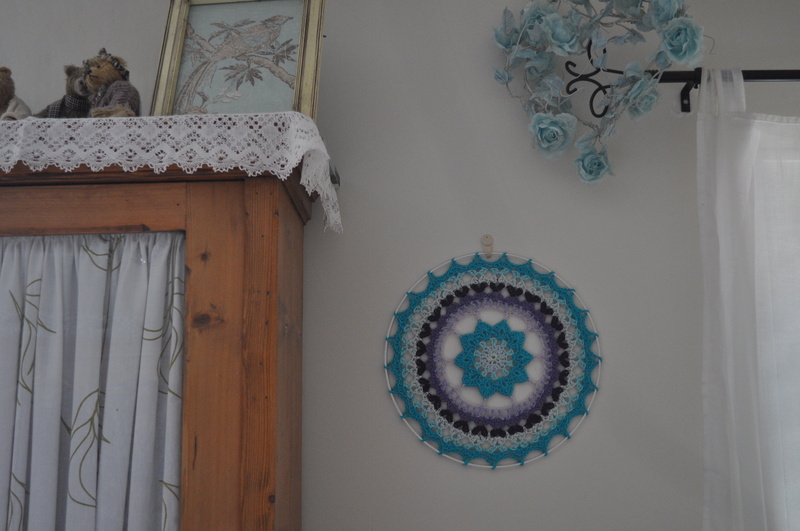 We have a long, blank corridor and I thought a selection of 45cm and 35cm colourful mandalas would look good against the plain wall. Before the ends were weaved in and a light steam press. 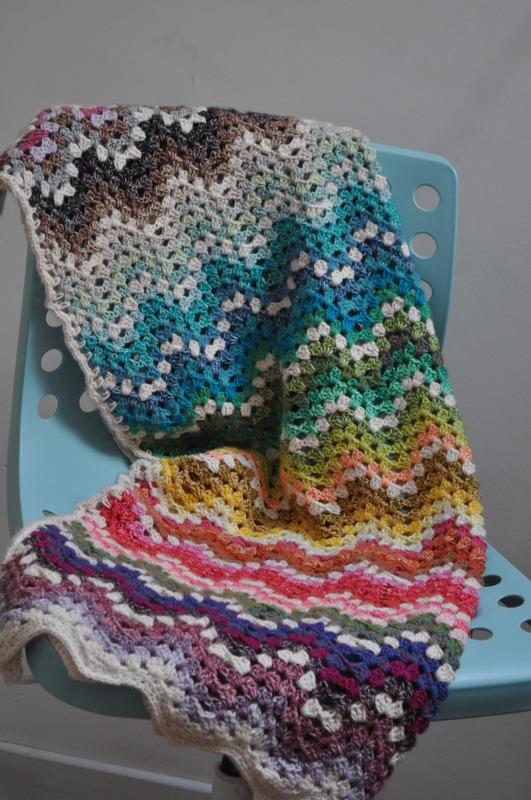 As you can imagine, I have lots of cotton yarn scraps left from the stripey blankets above – you might remember I recently asked for ideas about how to use them. 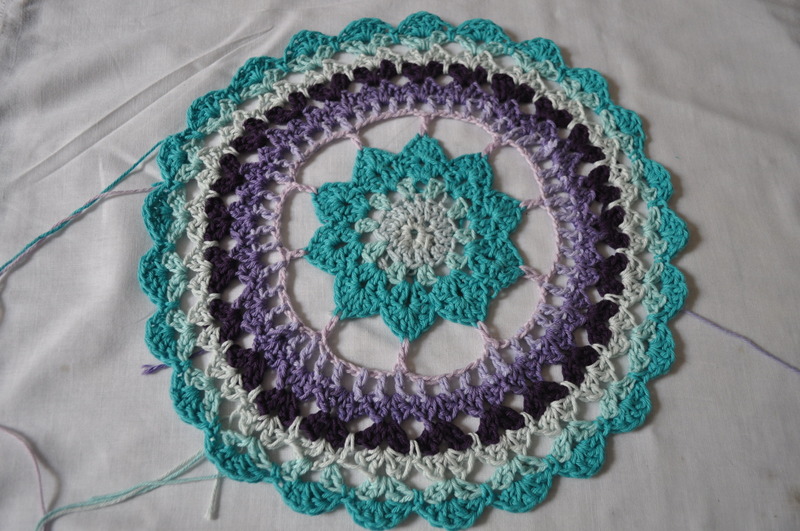 The mandalas provide an excellent way of using up those 10g balls of cotton – at least in the centres. The rest of the yarn is from the range by Paintbox DK of which I have a vast quantity having bought a huge pack of the entire colour range some time ago when it was on sale at a bargain price. The jury – aka Mr. Tialys – is still out on whether he wants these as wall art in the corridor and, anyway, I wouldn’t have used these colours for there but I did a practise run in the bedroom where the colours go very nicely and I’ve since hung it in the entrance to my workroom. I’ll keep you posted if I’m allowed to make any more. 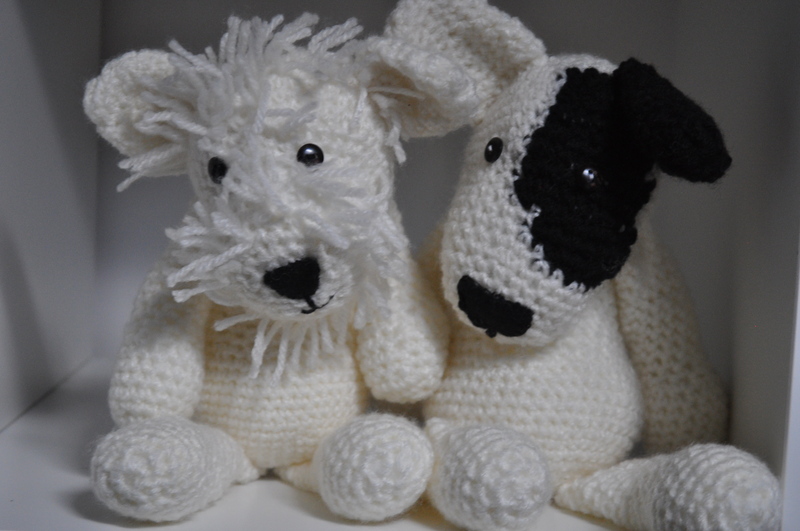 Remember my crochet dogs, taken from Kerry Lord’s book? I can’t recall whether I showed you this little chap. 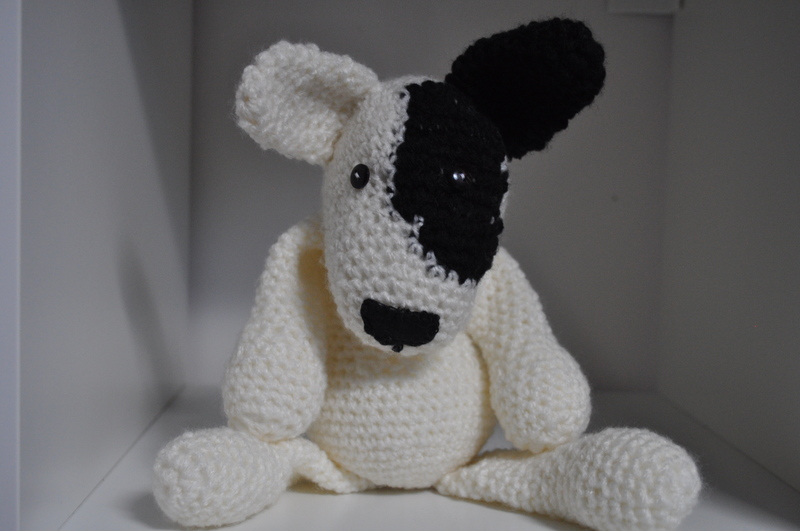 He’s supposed to be an English Bull Terrier which, if I were to ever actually go to a breeder and buy a dog (which I won’t) this would be the breed I would probably choose – that or a German Shepherd (although, sadly the latter are generally two a penny in the refuges). I found the patch a little difficult and I’m not sure whether it’s possible to blend black and white a little more efficiently than I have but I think he’s cute anyway. 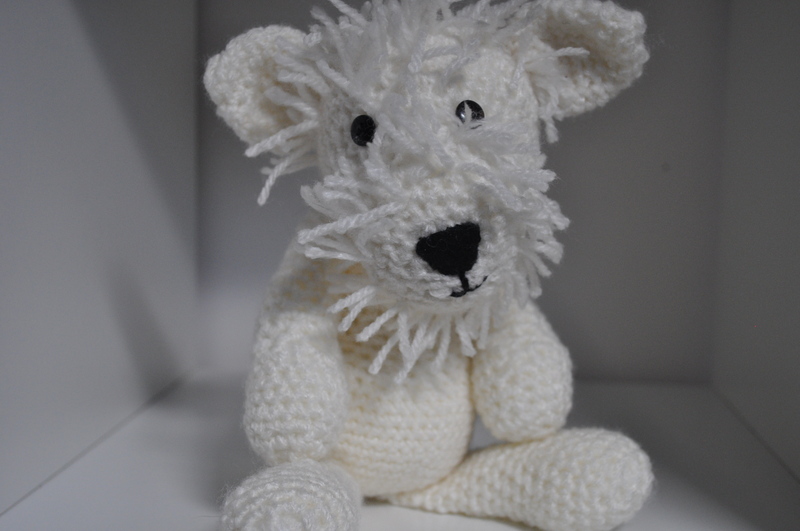 My sister has a West Highland Terrier called Harvey and this is my rendition which will be posted in the next few days as a gift for her birthday. I had never done loop stitch before so the head has been waiting to be finished until I had time to sit, hook in hand, in front of a YouTube tutorial. I was worried I might not have made the loops long enough but she keeps him fairly well clipped anyway as she lives in Spain so I think it will be O.K. Seems a shame to separate them really. Right, now the yoga mat is freed up, I suppose I could do a few planks, shoulder stands and warrior poses. On the other hand, it’s a bit too hot. As a contrast to my last post which was all about neutrals, here’s one to make your eyes bleed. 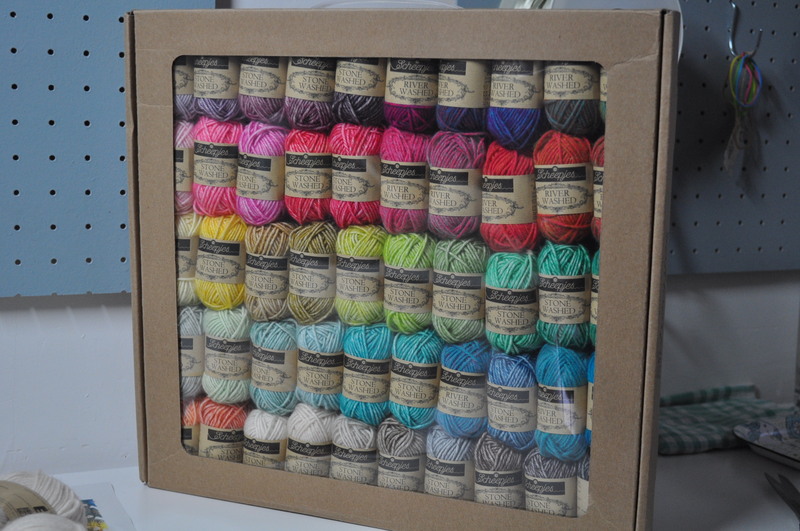 Do you remember this box of 50 gorgeous little 10g balls of yarn – a mix of Scheepjes Stone Washed and River Washed in all the colours of the range? They looked so pretty in their box that I wanted to hang it on the wall like a picture. 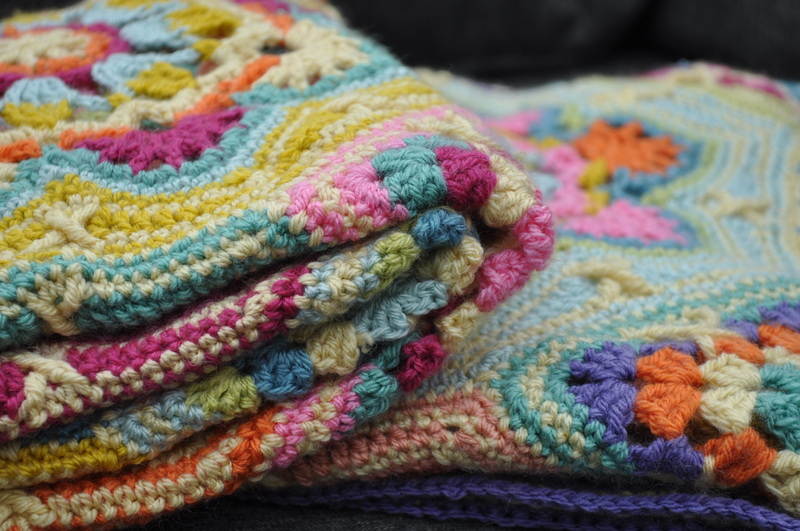 Still, I managed to get a grip, opened the box and, mixing the little 10g balls with three full sized ones in the colour Moonstone, made a cheerful little blanket designed by Emma Varnam. 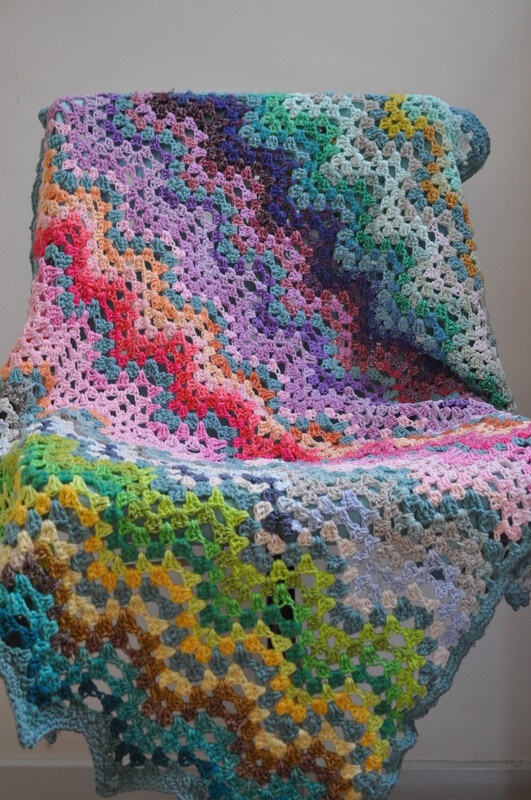 The finished measurement is just 90 x 100 cm which is fine for a lap blanket, a baby blanket or something to throw artfully over the arm of a sofa or across the back of a chair. Mine is a bit smaller as I missed out one of the widthwise repeats and, once I realised, couldn’t bear to undo what I’d already done for the sake of an extra few centimetres but, no matter, I like it muchly. 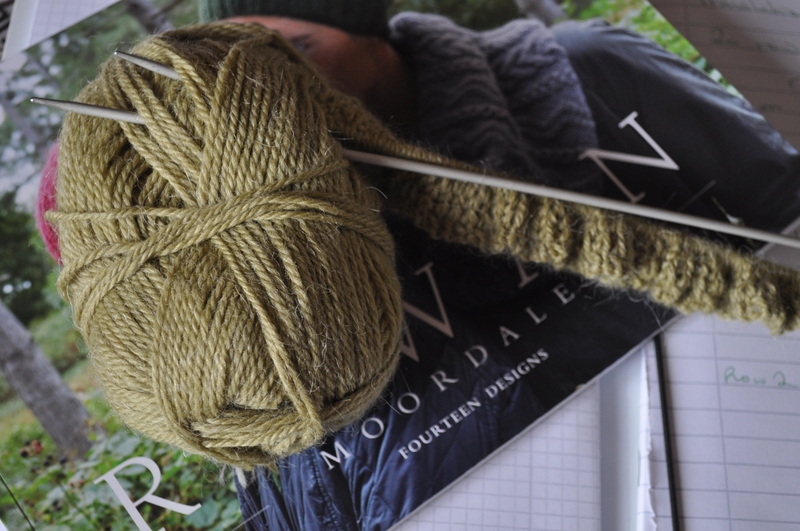 So much so, in fact, I’ve started another in some more mini 10g balls of yarn I have found locally. 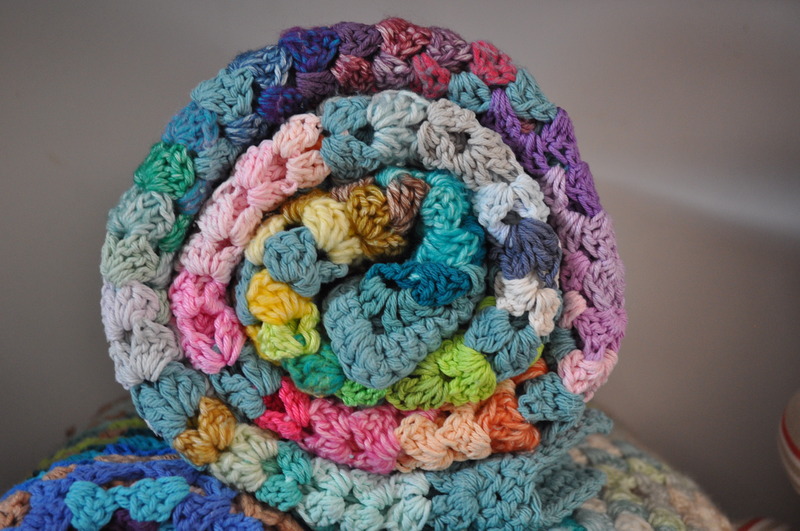 The Scheepjes yarn is a cotton acrylic mix and is lovely and soft to the touch and a dream to work with. The new stuff I’ve bought is all cotton and so doesn’t feel as soft. The texture and drape is different and I made up my own mix of colours but, actually, it’s very light (so far) and therefore a comfortable project to work on in these hot evenings. Also, the yarn was about a third of the price of the Scheepjes so I can put up with it being a little less pleasant to work with. 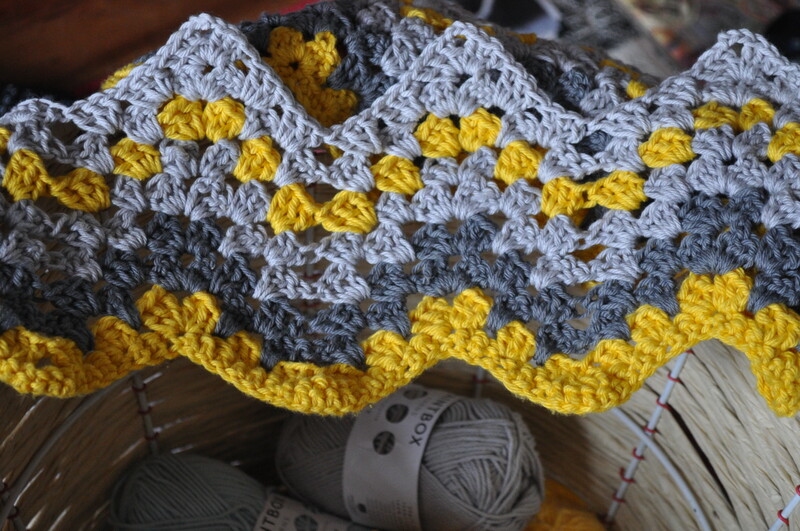 A quick pattern that can easily be done in front of your favourite Netflix binge. 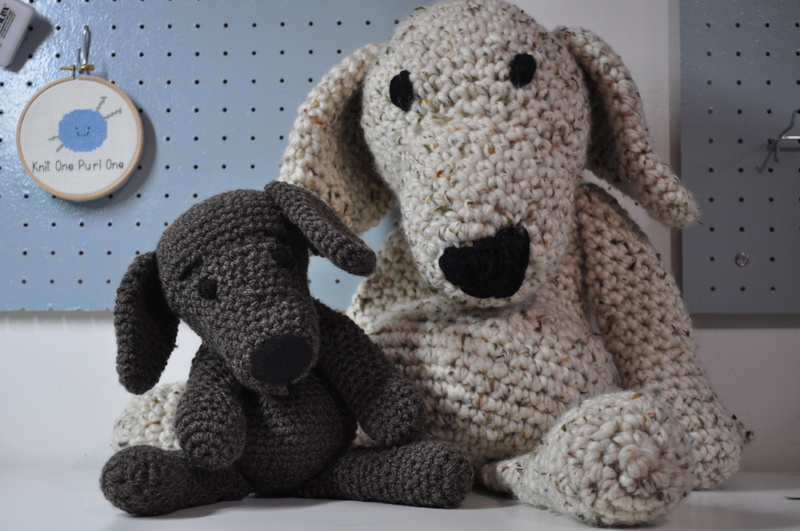 I bought the original yarn and pattern as a kit from Black Sheep Wools in the U.K.
Then I must master Loop Stitch and complete the Westie dog I’m supposed to be making for my sister’s birthday in August. 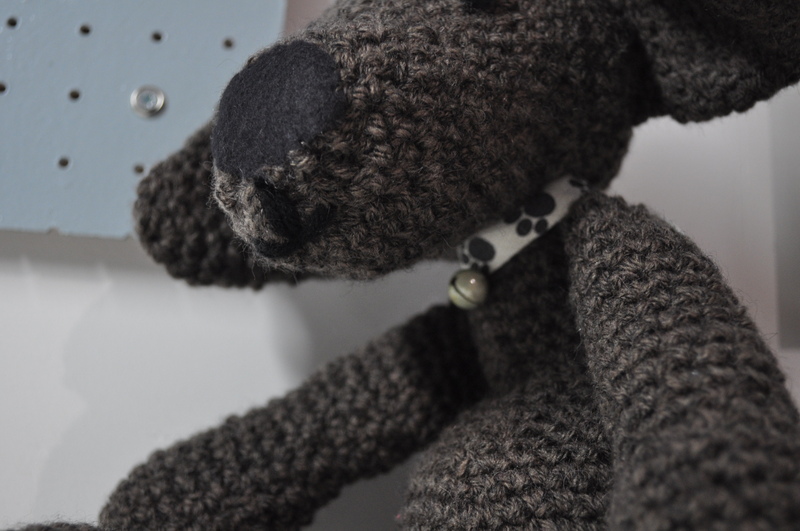 I only need the stitch for the head piece – I’ve already got the body, legs and ears made so I should stop procrastinating and get on with it or her birthday will have been and gone. Yes, I finished this one but that’s an English Bull Terrier and she’s got a Westie so that’s no good. I know some of you are still managing to brandish hook or needles in the Summer heat but have some of you put them away until it cools down a bit? I used to give up yarn related activity in the Summer but now I’ve discovered crochet I find it more doable than knitting in the hot weather. Can you tell? 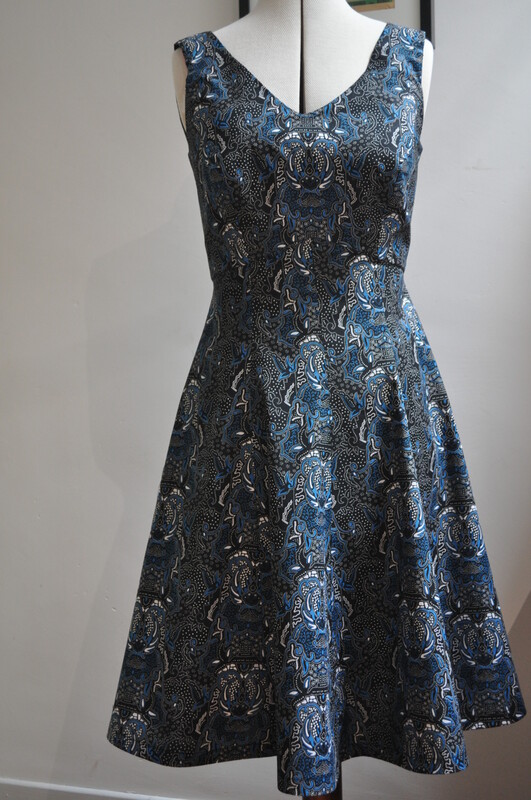 I’m having a bit of a run on frocks at the moment – when that sun decides to come out and stay out for longer than two days, I’ll be ready. If ‘flounce’ isn’t the collective noun for frocks it should be. 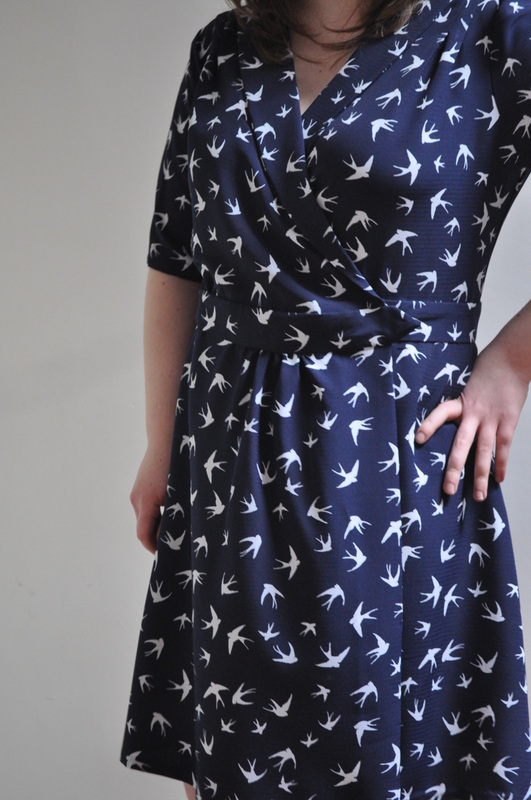 Anyway, the navy and white swallow dress I showed you that I made for Mlle. Tialys the Younger is languishing in her wardrobe and will presumably make an appearance when she is ready and not before. 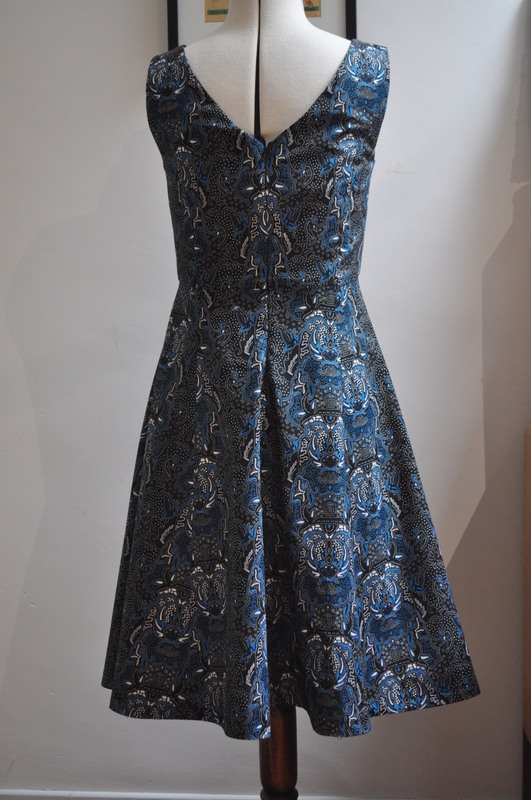 I needed something to take to my sewing class the other day – I am an erstwhile visitor needing help with certain ‘tricksy’ bits in projects rather than the whole thing – so I picked up a dress I made about four years ago which looks at me reproachfully now and again whenever I inadvertently uncover it from wherever I happen to have stuffed it away last time I had a guilt trip about it. If I remember correctly, I’d put the invisible zip in the back but the front of the dress wasn’t laying right against my shoulders, neck or chest, a common problem for me as I really should make a smaller size and do an FBA (full bust adjustment) instead of making the correct bust size and then having to alter everything else. I thought it would be a case of the tutor pinning me in properly and then me re-inserting the zip which is plenty for a two hour session once I’ve had a chat and a nosey at what everyone else is doing. Of course, being the perfectionist she is, it wasn’t that straightforward and I ended up hearing I needed to take out the sleeves and re-do one of the back princess seams before I could even think of putting the zip back in. Anyway, back at home, I did all the alterations she suggested, put the zip in and it still gapes a bit at the neckline so I’ll have to take it back and do some more fiddling with it under expert supervision. 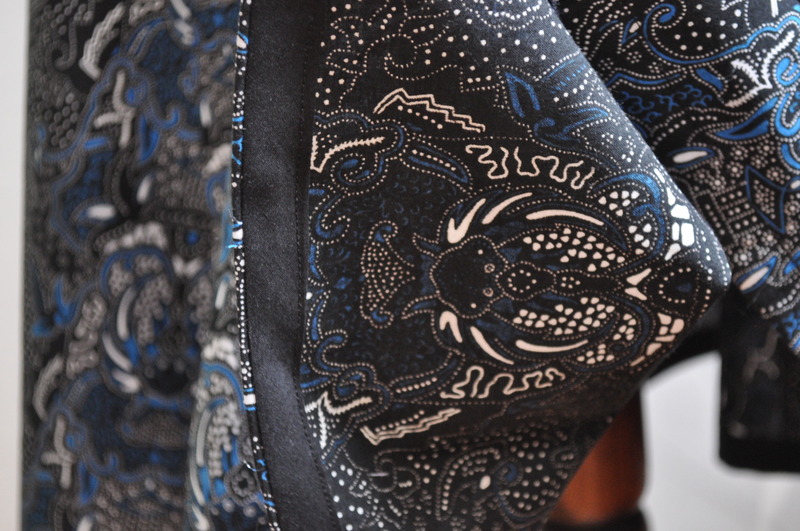 I don’t think I’ll ever actually wear it because the fabric isn’t great – it wouldn’t be something I’d use now – and to be honest, I’ve fiddled about with it so much I’m sick of the sight of it. Here’s a quick look – the neckline doesn’t look too bad in this photo as I’m leaning against the table with my shoulders up and back but that’s not normal is it? Here’s the line drawing of the pattern in case you thought I’d gone a bit weird with the neckline anyway. A friend of mine moved house recently and, as she was downsizing, asked me if I knew anybody who would want her mother’s 1950s Singer sewing machine in full working order. Well, of course I did? 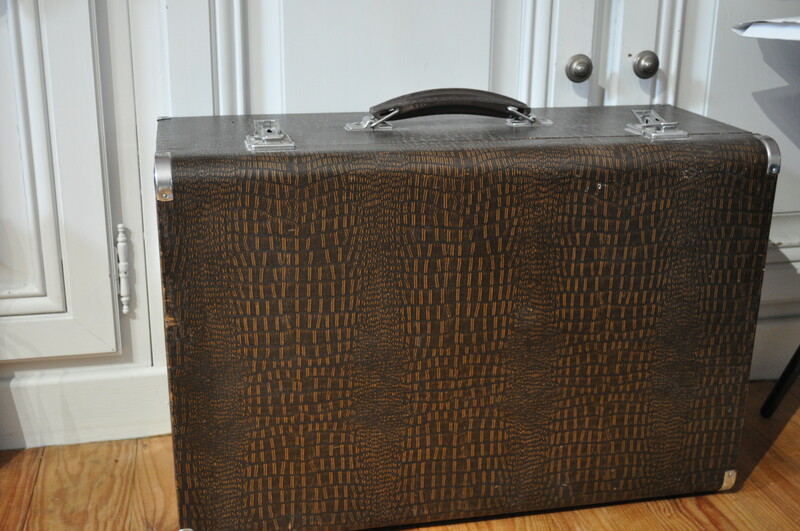 It arrived in its original carry case which, together with the machine, weighs so much I don’t think I’ll be walking around with it any time soon. 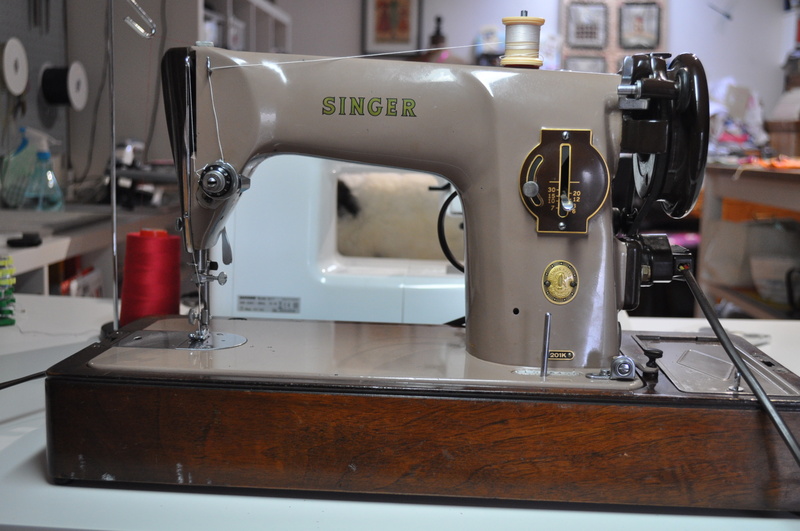 I haven’t used her yet but she will be pressed into service when I do the top stitching on the jeans I’m making. 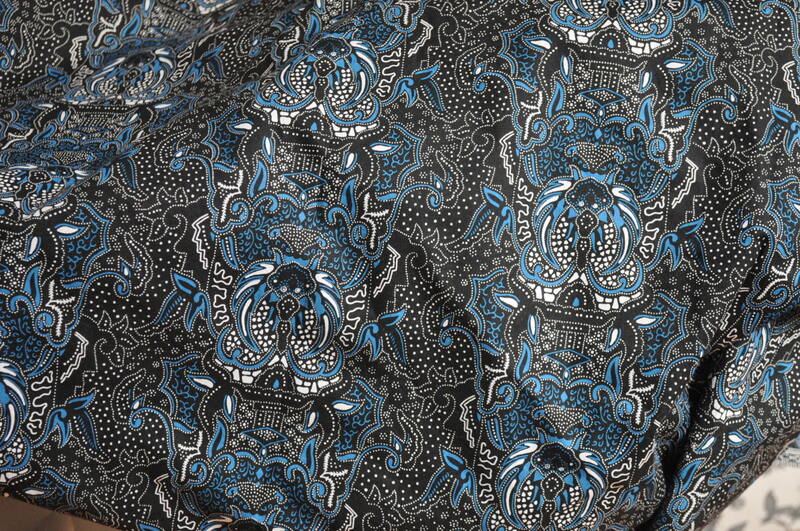 The same friend also gave me some fabric which included a 3m length of this lovely Dutch African Wax fabric. I have fancied some of this type of fabric before but it’s often too bright for me or the pattern is too large so this was perfect. Perfect for me as you can choose between cup sizes which meant I wouldn’t have to do my own alterations – or not many. 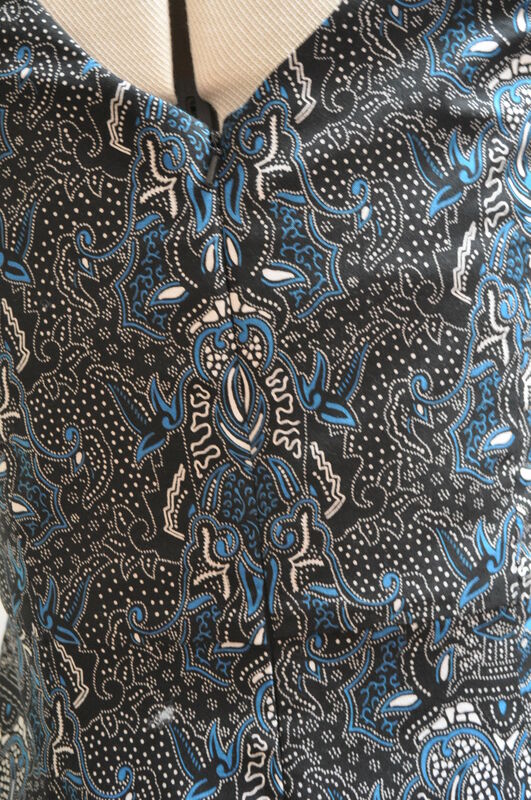 I was worried about the pattern matching though as there are side seams, a back zip, princess seams and a pointy uppy waistline seam so it was an ideal candidate for taking to the sewing teacher. In the event, she suggested cutting the front bodice on the fold which did away with the problem there and then and we matched the back bodice almost perfectly. It then became apparent that, although there was 3m of fabric, it’s not very wide at 110cm and I couldn’t get the panels of the full skirt to fit on to the fabric I had available. We made the panels a bit narrower which, to be honest, I didn’t mind as it is a very full skirt but exact pattern matching more or less went out of the window as I had to get those pieces on any way I could. The folds in the skirt hide a multitude of sins so I don’t think it turned out too bad in the end. 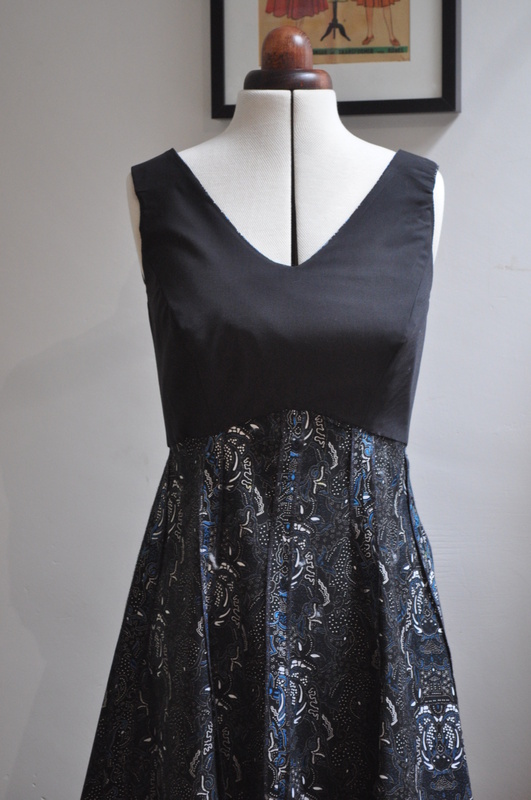 This is the one of the very few dresses I’ve made where I’m happy to show the inside – so I’m going to. I hemmed it using bias binding to make it neater and give it a bit more weight. This might actually be the best dress I’ve ever made. Very difficult to avoid photo bombing by dogs at my house. 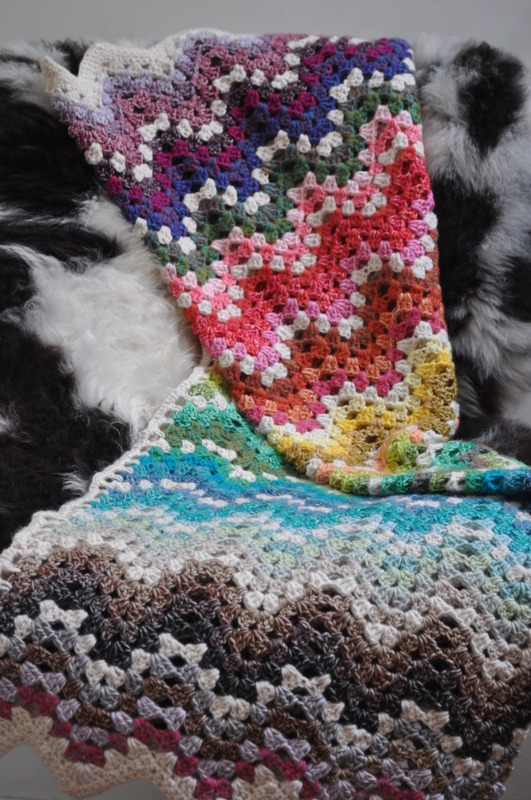 Despite the weather hotting up I am determined to finish a crochet blanket I started – it’s nearly finished so it’s long enough to cover my knees and overheat me even when I’m wearing shorts so I need to get on with it before Summer really sets in – as I hope it will. 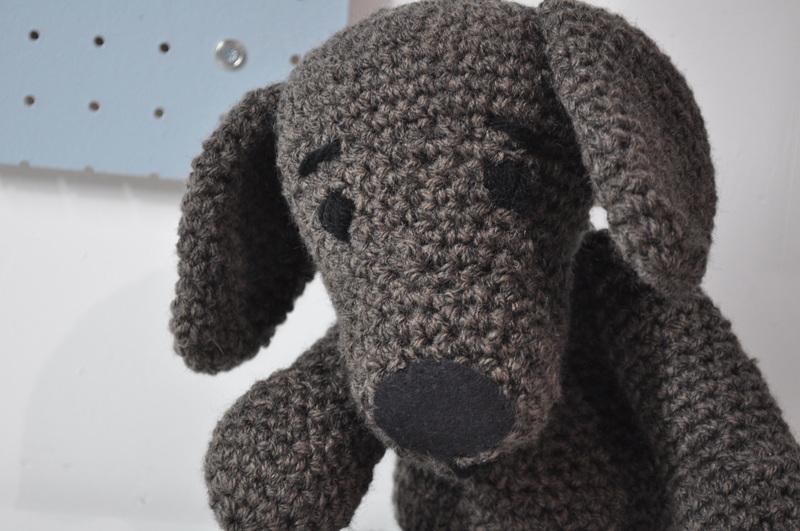 Remember the super sized amigurumi dog I made from the ‘Edward’s Menagerie Dogs’ book? Well, I’ve made her a baby. 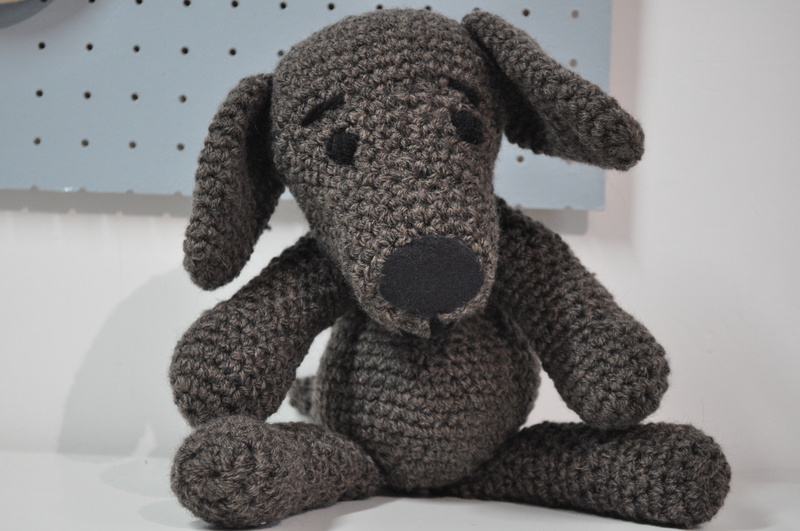 Actually, this is the ‘standard sized’ dog – there is a smaller one which I might attempt one day although I suspect it might be a bit fiddly and, anyway, I quite like this size. This time I didn’t take any chances with the placement and used things to mark where I wanted to put the eyes and nose. I used a piece of felt to mark where the nose should go and then sewed it on anyway because it looked just right to me. I gave him some eyebrows because I love dog’s eyebrows – they make me laugh. I also gave him a rakish grin and a pretend collar and bell so the rabbits will hear him coming. I know I asked for advice about his Mum’s features because they are nowhere near perfect and I was going to change them but, as Professor Higgins said, ‘I’ve grown accustomed to her face’. She will henceforth be known as Eliza – if anybody should ask. Anyway, I have two dogs under my belt now – things can only get better – I’m going for the English Bull Terrier next. 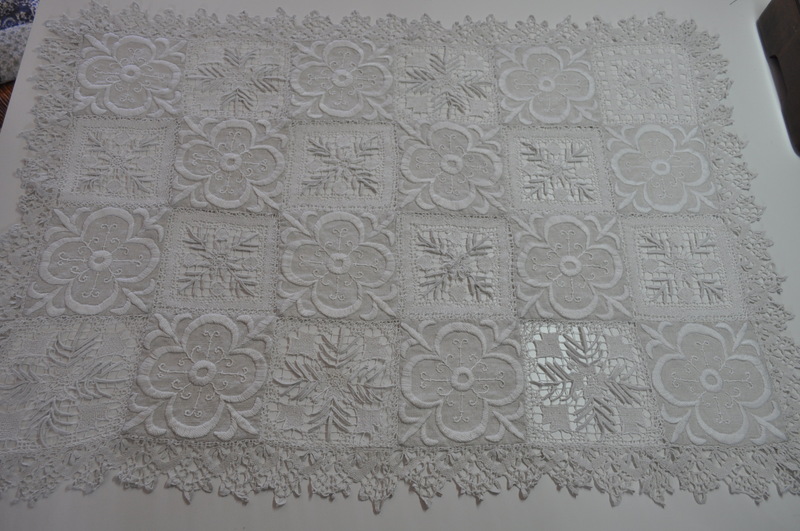 As you know, I recently finished the divine Eastern Jewels blanket. I’ve worked out that I probably have enough yarn left in some of the colours to make another one with the purchase of just 5 or 6 more balls. Hooray! Firstly, I have another project up my sleeve. 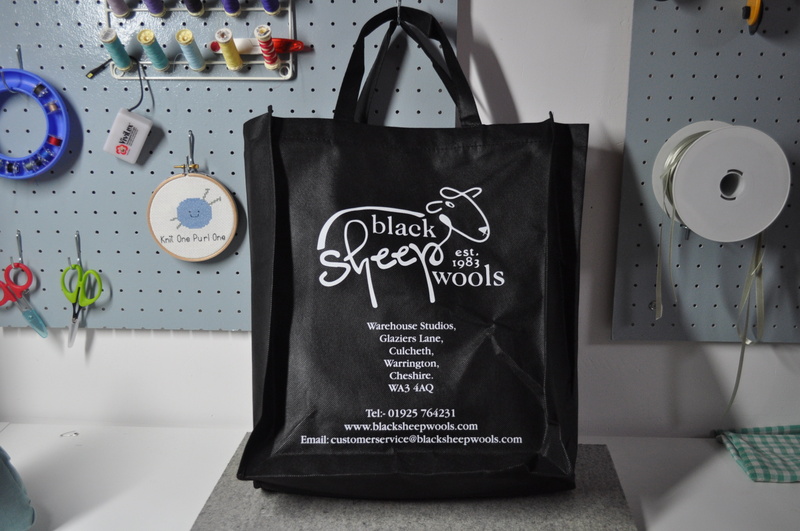 I was tempted by my favourite wool shop who sent me the object of my desire in their lovely tote bag. 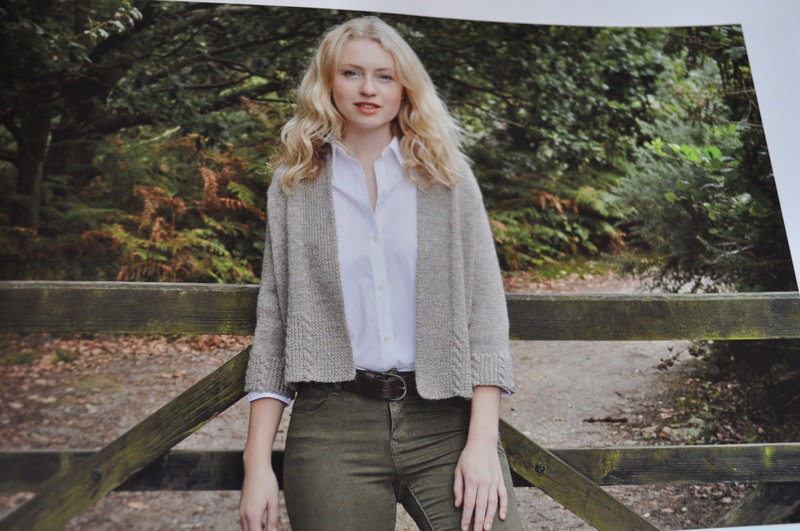 The pattern is by Emma Varnam in Scheepjes River Washed and Stone Washed yarns and came as a kit. 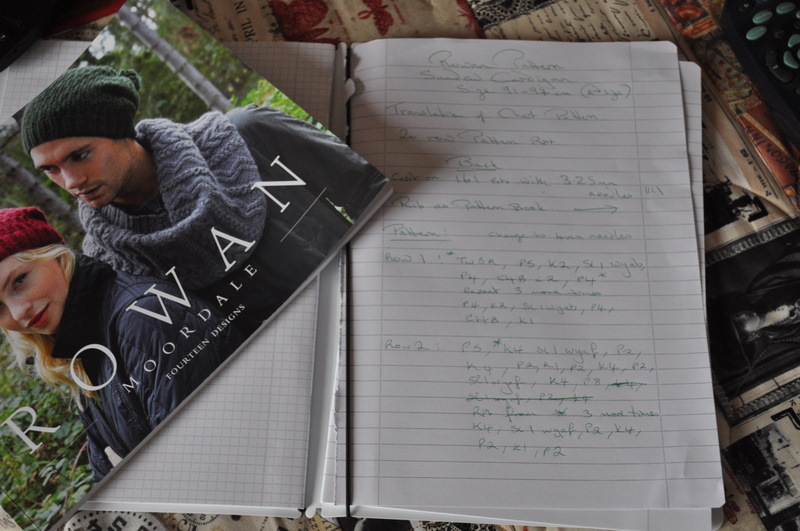 A small photo of my instructions which came with the yarn but you can see the whole beautiful, ripply blanket on Emma’s blog here. 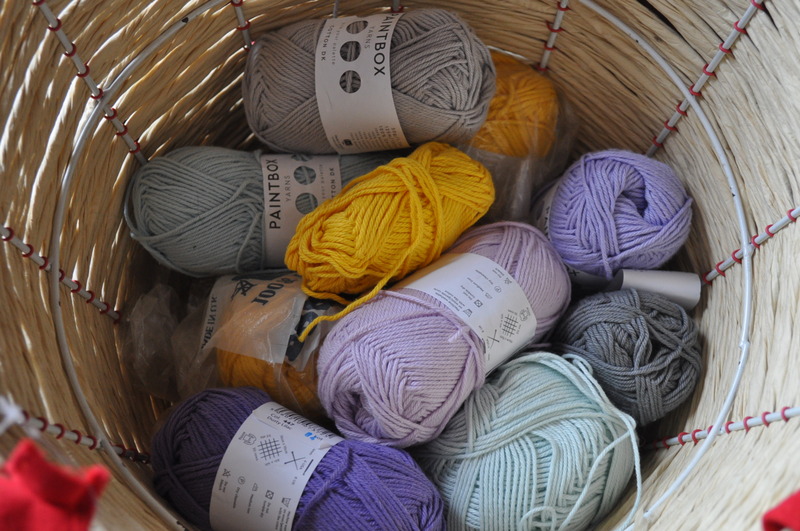 It’s very lovely but what really tipped me over the edge tempted me were the teeny balls of wool in their own box which, together with three 50g balls of cream coloured Scheepjes Stone Washed yarn included in the kit, will make the blanket. Fifty fabulous little 10g balls of wool. Trouble is, they look so cute in their box, I don’t want to open it. I might have to buy another one and hang it on the wall but that would be the work of a crazy woman. Wouldn’t it?